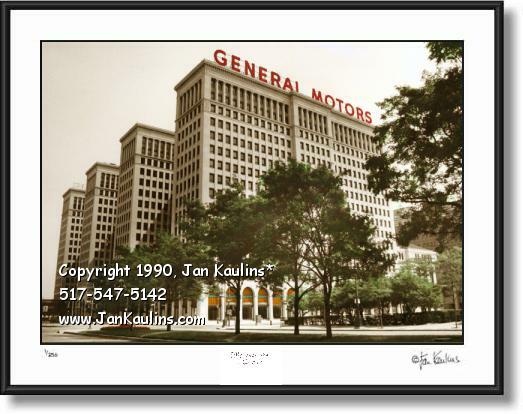 OLD GENERAL MOTORS BUILDING photo picture print photograph for sale. Old GENERAL MOTORS BUILDING DETROIT photo picture art print poster for sale. Old GM Detroit picture photo art prints photographs for sale of The General Motors Bldg. photograph pictures prints.